Windows 8 apparently had mixed reviews mostly it was Microsoft's strategy to converge the desktop, tablet and mobile platforms into a single metro UI form factor. Some people liked it and some people missed the start button in Windows Desktop. 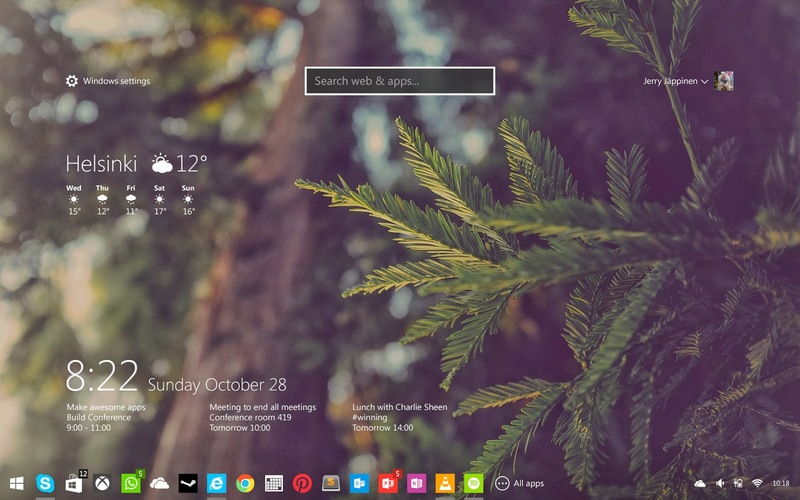 Some Designers are preparing their version of Windows 9 and below image looks very cool and futuristic. Noting too innovative but the arrangements of the widgets and the complete layout looks pretty classy. Having a dedicated search bar on desktop seems to be a very useful idea. Check it out and let us know your comments.